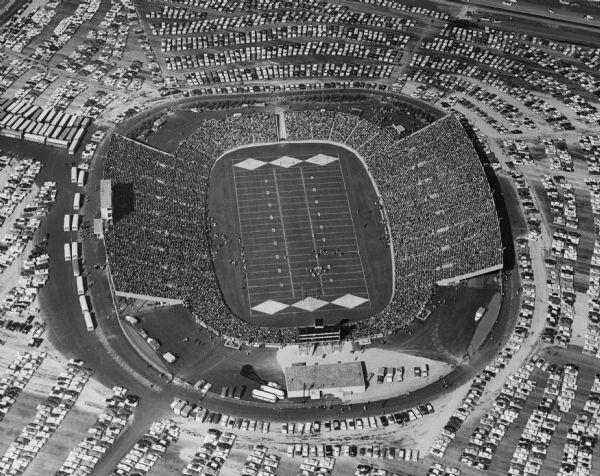 A 1957 photo of Lambeau Field with a full parking lot. Courtesy of the Green Bay Press Gazette. This week on A Northwoods Moment in History, local historian Gary Entz tells us about a football game between Rhinelander and Green Bay in 1896. Football season is rapidly approaching, and many Northwoods residents are looking forward to watching their favorite teams. Football has been popular in the Northwoods for a long time. However, in the days when travel to distant cities was difficult for sports fans, and before radio and television brought sports contests into our homes, many people formed athletic clubs in their local communities and fielded amateur football teams of their own. This was true in the Northwoods, and for a time Rhinelander’s amateur football team had a bruising reputation. Teams in northern Wisconsin played regularly, and on Monday, September 7, 1896, the team from Green Bay boarded a train to travel to their first game of the season. Their first opponent that year was thoroughly intimidating. It was a team that had soundly defeated Green Bay in 1895 and one that had the Green Bay players all but conceding defeat even before their train left the station. The team they faced was the sturdy lumber-jacks from the northern wilds of Rhinelander. Football in 1896 was considerably rougher than it is today. Fistfights were a common occurrence when players fell into dogpiles, and so long as a thrown fist remained within that loose context, the umpire was unlikely to penalize a team. By all accounts, the Green Bay-Rhinelander game of 1896 was a slugfest, with both teams pounding hard on one another. After 26 minutes of hardscrabble play, the score stood at 4 to 0 in favor of Rhinelander with Green Bay driving to within ten yards of the goal line. Four points seems an odd score to modern sensibilities, but according to the rules of 1896 a touchdown was worth four points, or the equivalent of two safeties. This is where the contest stood when a Rhinelander player stood up at the line of scrimmage and openly slugged a Green Bay player in the face. Rhinelander had already been flagged several times for throwing punches, but this one was such a blatant disregard for the authority of the umpire that the game was stopped. The umpire removed Rhinelander’s four points, awarded Green Bay six points, called the game, and declared Green Bay the winner by a score of 6-0. 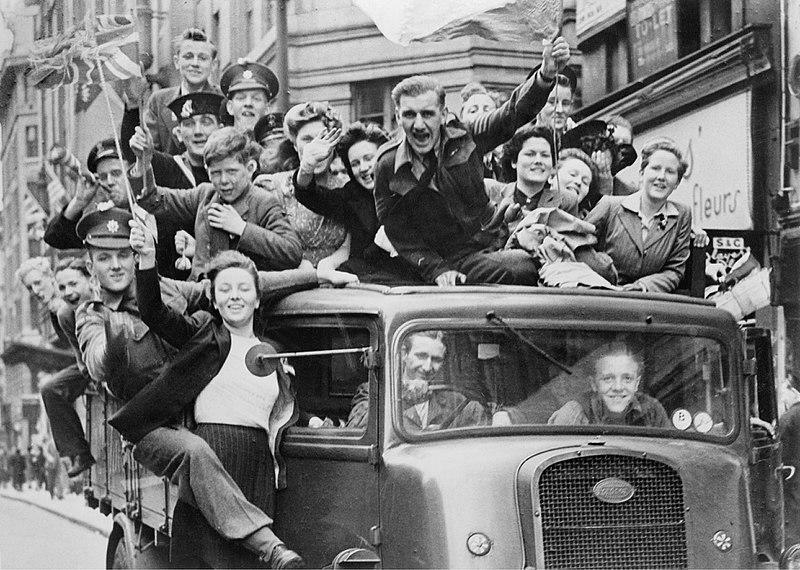 The press in Green Bay crowed about the figurative crowns of victory that they won, but the players were happier just to get out of Rhinelander while still able to walk. This story was written by Gary Entz and produced for radio by Mackenzie Martin. Some music for this commentary came Podington Bear. Some sound effects for this commentary came from Freesound. The photo above is used with permisson from the Wisconsin Historical Society and can be found on their website here. A Northwoods Moment in History is funded in part by a grant from the Wisconsin Humanities Council, with funds from the National Endowment for the Humanities and the State of Wisconsin. Any views, findings, conclusions or recommendations expressed in this project do not necessarily represent those of the National Endowment for the Humanities. The Wisconsin Humanities Council supports and creates programs that use history, culture, and discussion to strengthen community life for everyone in Wisconsin. This week on A Northwoods Moment in History, local historian Gary Entz tells us how the town of St. Germain got its name. 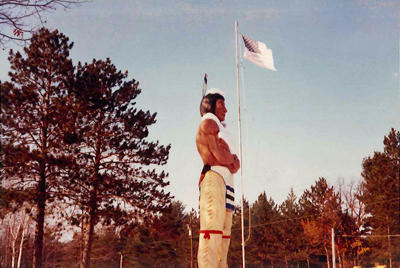 The town of St. Germain in Vilas County today is a popular tourist destination, and many people go there to see the statue of Chief St. Germaine. St. Germain, however, is French. So where did the name come from? In 1945, a young man from Three Lakes was among the soldiers serving in the 14th Armored Division, and earned himself a unique place in the history books. Local historian Gary Entz has the story in this week's episode of A Northwoods Moment in History.